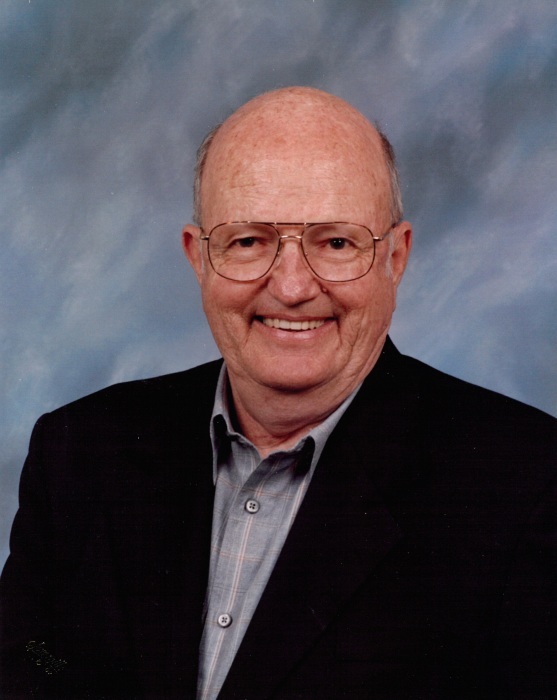 Ray Howard Hosley of Raymore, passed away on July 6, 2018 at the age of 89 years at St. Luke’s Hospital East. Ray was born on November 2, 1928 in Kincaid, Kansas to John Russell and Lou Ada Hosley. He was the third of four sons. Following graduation from Kincaid High School, he served in the U.S. Navy and began his 40 year career at Amoco Oil Company. He retired from Amoco as Manager of General Accounting for the Midwest. Ray married N. Kay Austin on September 24, 1955 and they had two children, Raylene and Brett. He was preceded in death by his beloved wife, Kay, his daughter, Raylene McKarnin, and two brothers, Paul and Warren. He is survived by his son, Brett (Machele); four grandchildren- Blair (Brian) Soss, Taryn McKarnin, Alyx (T.J.) Fenton, Blake Hosley and one great grandson, Dawson Fenton. Funeral services will be held at Longview Funeral Home on July 10, 2018 at 11 am. Interment will follow at Longview Cemetery. Memorial donations may be sent to South Haven Baptist Church, PO Box 827, Belton MO 64012.